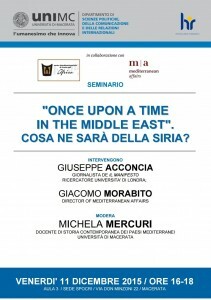 “Once Upon a Time the Middle East”. 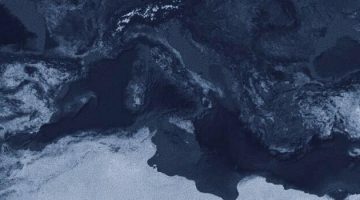 Cosa ne sarà della Siria? What is going to happen in Syria? 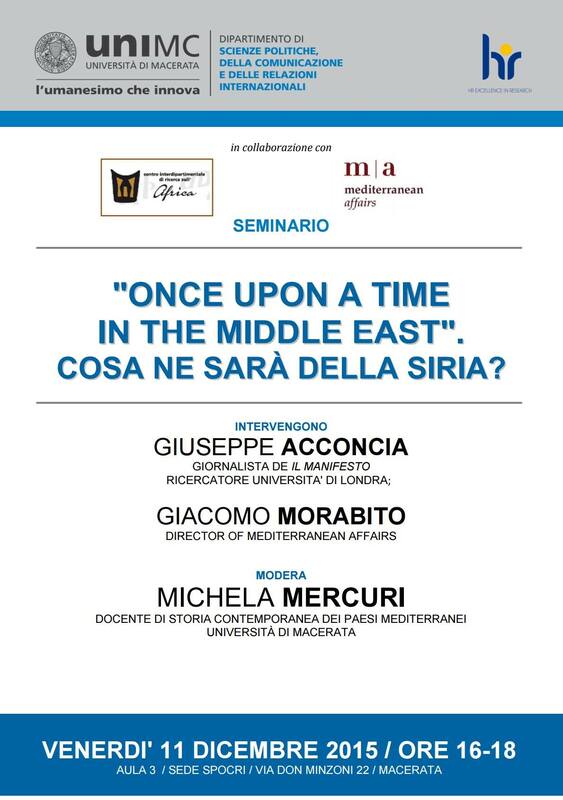 Mediterranean Affairs is pleased to invite you to the seminar “Once Upon a Time the Middle East”. Cosa ne sarà della Siria?. The event will be held on Friday, the 11th of December, starting at 4 p.m., at the Department of Political Science, Communication and International Relations of the University of Macerata. The seminar is organized by Mediterranean Affairs, the Department of Political Science, Communication and International Relations of the University of Macerata, with the Interdepartmental Centre of Research on Africa (Centro Interdipartimentale di Ricerca sull’Africa). 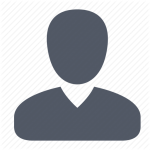 The main focus regards the crisis in Syria and the emerging scenario, dealing with civil war and international politics, military affairs, humanitarian crisis, and terrorism. Giacomo Morabito (Director of Mediterranean Affairs), Michela Mercuri (Professor of Contemporary History of the Mediterranean Countries at the University of Macerata), and Giuseppe Acconcia (Journalist at “Il Manifesto” and academic researcher) will present the topic and discuss it with the audience.